Cincinnati chili does not exist in Arizona, except for in a suspicious canned variety, so I went on quest and figured out how to cook it myself. I made 4-way (spaghetti, beans, onions, cheese) Cincinnati style turkey chili. The turkey part was my own invention because the idea of eating ground up cows kind of bums me out, but turkeys, not so much. The stuff is really messy, and I love photos that reflect the true nature of whatever it is I’m eating. So, for this post’s photo I just let the chili do whatever it wanted while I watched. 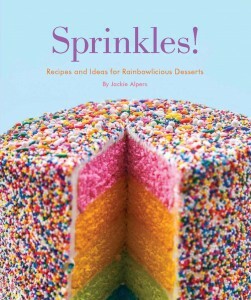 I modified this recipe from one I found on Cook’s Illustrated. They claimed that the secret to good Cincinnati chili is to boil the meat first. I’m using turkey here instead of the recommended ground chuck, but I kept that step the same. 1 cup cooked whole grain or high fiber spaghetti – or served over hotdogs to make chili dogs. While the water is boiling, spray a large saucepan with oil, and cook the onions over medium-low heat, stirring frequently, until you are ready to add them into the chili chili pot. They will be soft and browned around the edges – about 10 minutes. When the water in your chili pot boils, add the ground turkey, stirring vigorously to separate the meat into individual strands. As soon as the foam from the meat rises to the top (about 30 seconds) and before the water returns to a boil, drain the meat into a strainer and set aside. Rinse and dry the empty soup pot. Put back on medium heat, add a tablespoon of olive oil and add garlic and cook until fragrant, about 1 minute. Now’s the time to stir in your cooked onions. Next, stir in the chili powder, oregano, cocoa, cinnamon, cayenne, allspice, black pepper and salt and pepper. Cook, stirring constantly, until the spices are fragrant, about 30 seconds. Stir in broth, water, vinegar and tomato sauce. Add the blanched ground turkey and increase the heat to high. As soon as the liquid boils, reduce the heat to medium-low and simmer, stirring occasionally for 1 hour. Adjust the seasonings, add additional salt if desired and hot pepper to taste. (The chili can be refrigerated in an airtight container for up to 3 days. Bring to a simmer over medium-low heat before serving). Divide the cooked spaghetti among the individual bowls and let everyone choose their toppings. 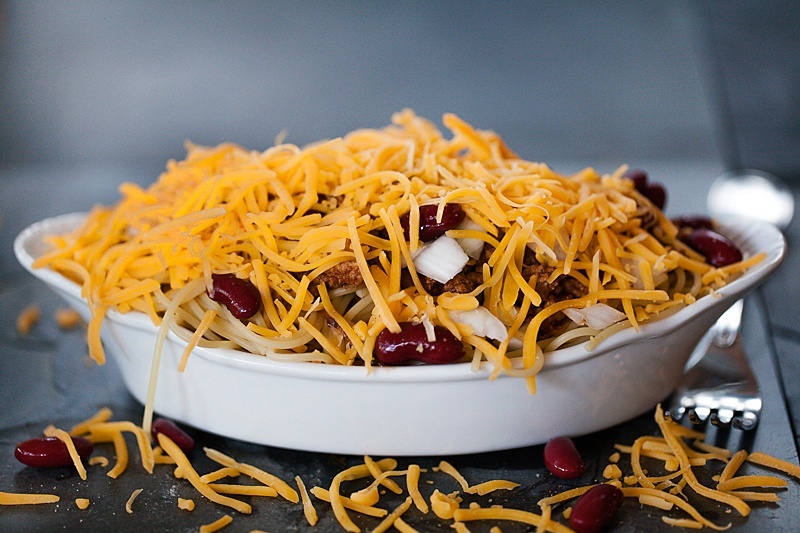 3-Way Chili: spaghetti, c chili and topped with a mound of shredded cheddar cheese. 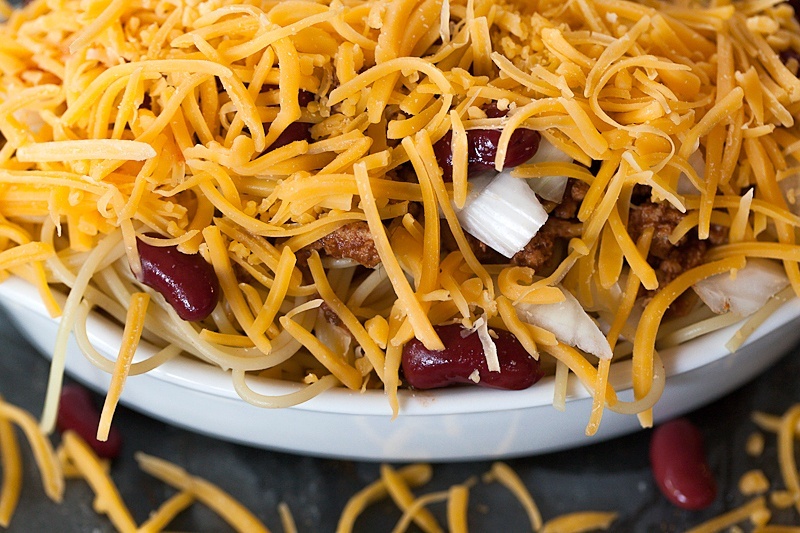 4-Way Chili: A 3-Way with diced onions or red beans. 5-Way Chili: A 3-Way with diced onions and red beans. NOTE: This chili is good right out the the pot, but it’s better to serve it the next day, after the flavors have had a chance to meld in the refrigerator.